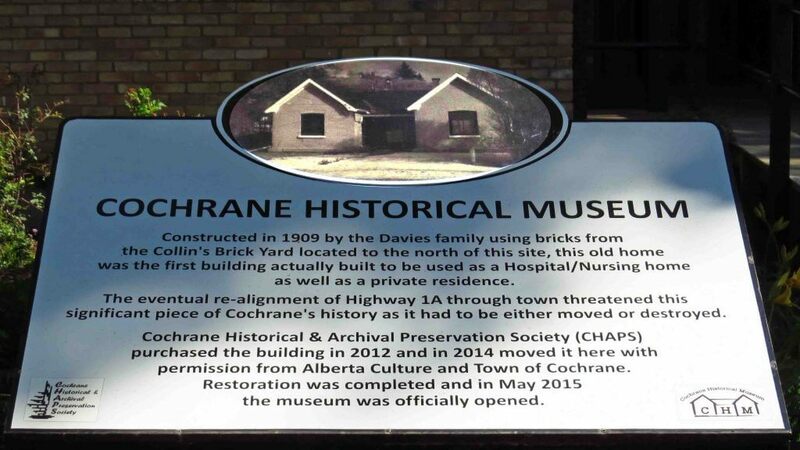 Visitors to the CHAPS Museum in Cochrane, Alberta are within an hour’s drive of Banff National Park and the mountain playgrounds west of Calgary that offer year round outdoor activities in a beautiful setting. The Dominion Government incorporated a company in 1881 and it was known as the Cochrane Ranche Company. (excerpt from Big Hill Country page 155). Constructed in 1909 by the Davies family using bricks from the Collin’s Brick Yard. Built to be used as a hospital/nursing home and private residence. Moved to its current site in 2014.
the service and supply businesses, the educators and more.